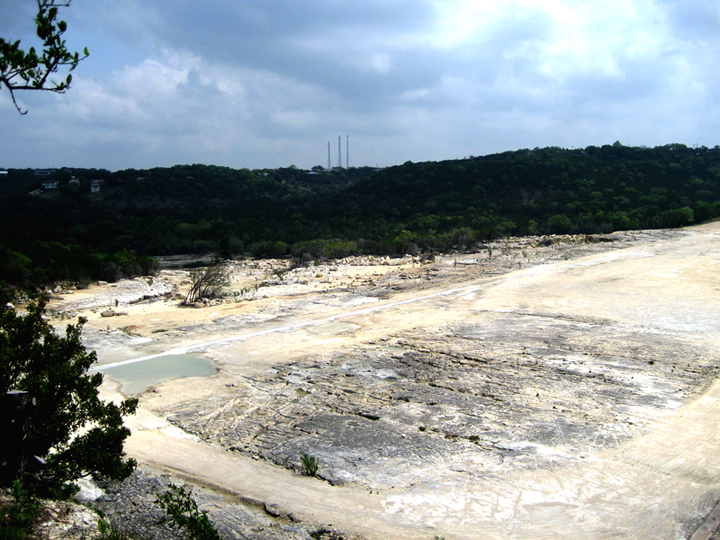 We took a day trip to Canyon Lake Gorge in Comal County. 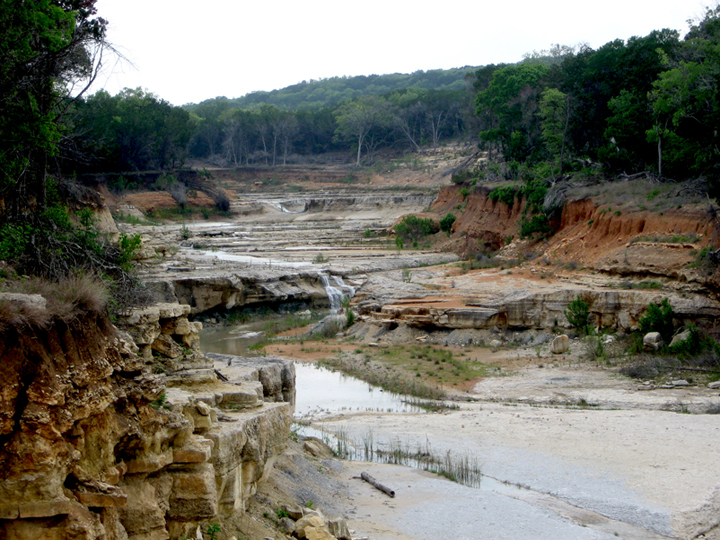 It is a gorge that was formed in 2002 when the Guadalupe River flooded and spilled over the Canyon Lake reservoir dam and carved through the Glen Rose limestone bedrock. The gorge is around 1.6 km long and 15 m deep. It exposes rock strata that are about 100 million years old. Some fossils present are bivalves (Arctica sp. ), gastropods (Tylostoma sp. ), urchins (Heteraster sp. ), and forams (Orbitolina texana). Also present are dinosaur tracks of acrocanthosaurus and its sauropod prey. 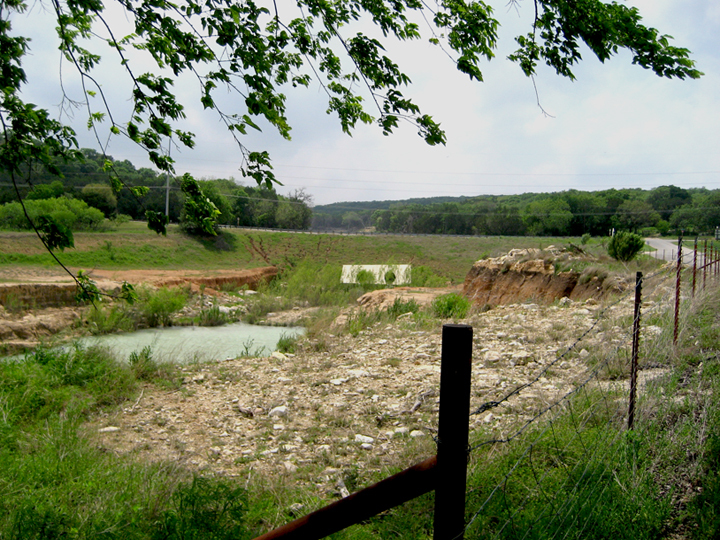 A local group formed the Gorge Preservation Society to develop long-term plans in partnership with the Guadalupe-Blanco River Authority and the US Army Corps of Engineers. Public access to the gorge is restricted to guided tours during a three-hour hike along a designated route, so we just looked around and had a lovely picnic in the nearby park. The photo below was taken in the Guadalupe River basin on Scarbourough. The view is looking west towards the South Access Road and the gorge beyond. The photo below was taken on the South Access Road. The view is looking west inside the gorge and towards the Canyon Lake reservoir beyond. The photo below was also taken on the South Access Road looking west inside the gorge. 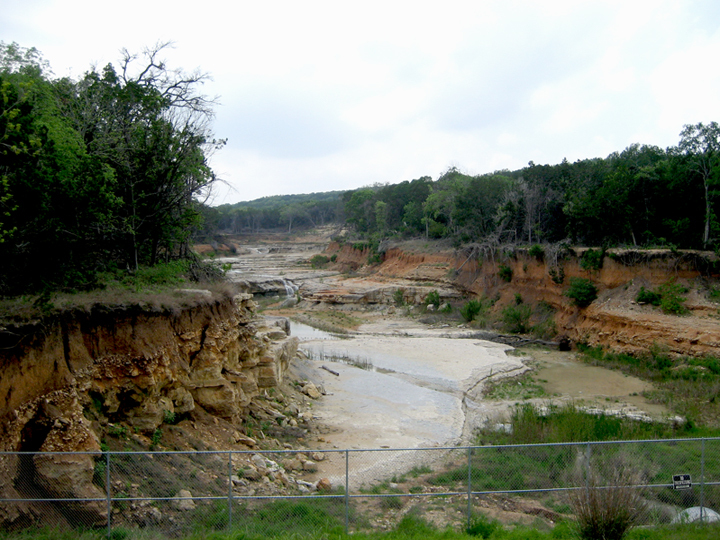 Notice the transformation of the Guadalupe River basin landscape into a steep bedrock limestone canyon. During the 2002 flood, sediment-loaded water moved massive boulders and sculpted the gorge walls into several channels, terraces, pools, waterfalls, and teardrop-shaped islands. The photo below was taken on the Corps of Engineers Road looking south. The gorge is to the left of the photograph and travels east for about 1.6 km towards the South Access Road. 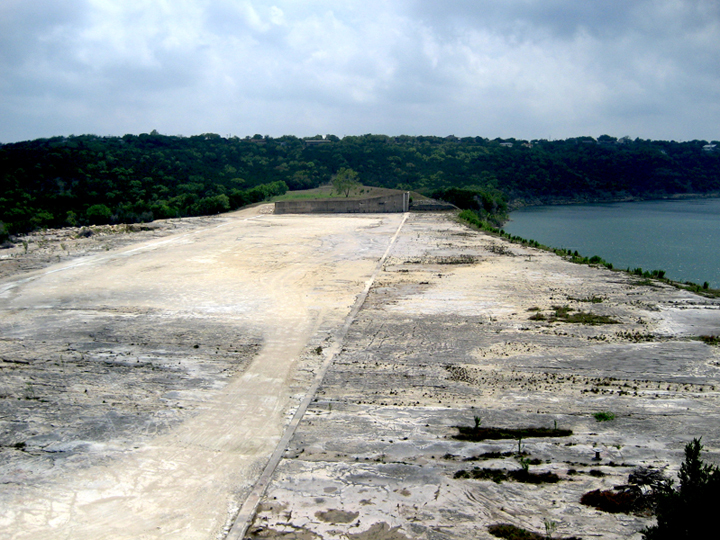 The Canyon Lake reservoir is to the right of the photograph. The photo below was also taken on the Corps of Engineers Road but looking east into the gorge. 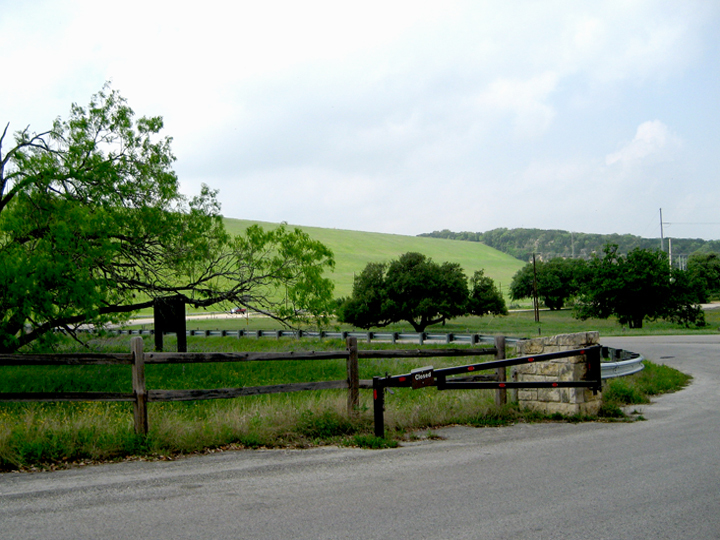 It was here where the Guadalupe River floodwaters went over the Canyon Lake reservoir spillway and carved out the gorge. The photo below was taken on the Corps of Engineers Road looking north towards North Park Road. The Canyon Lake reservoir is to the left and the gorge is behind the viewer. 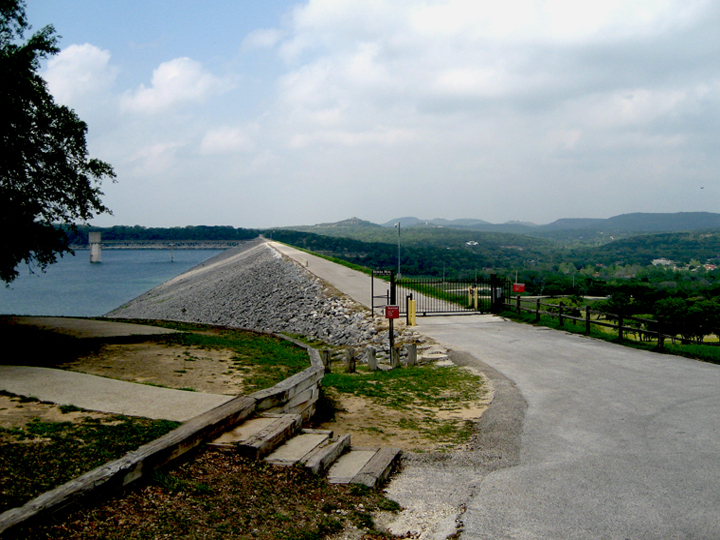 The photo below was taken on the Corps of Engineers Road looking west towards the South Access Road and the Canyon Lake reservoir dam beyond. North Park Road is on top of the dam. The gorge is to the left of and beyond the photograph.